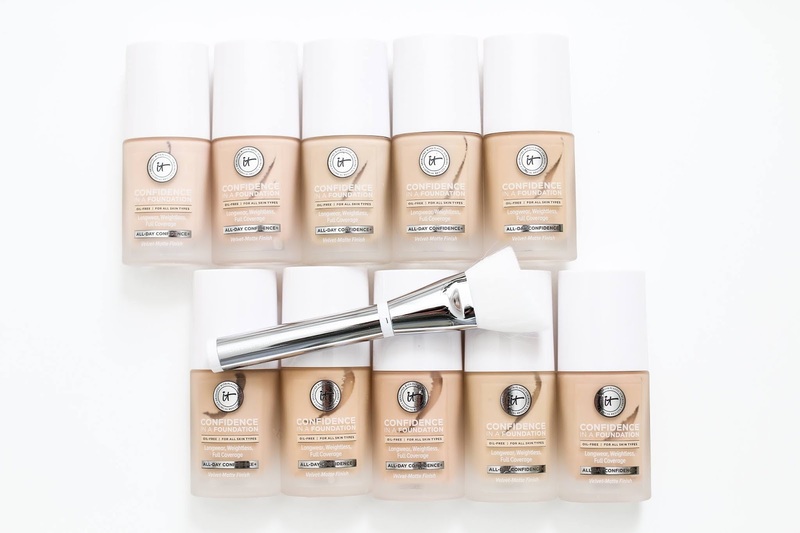 It Cosmetics just launched a new foundation - Confidence in a Foundation. An oil-free formula designed to be long wearing with a matte finish. 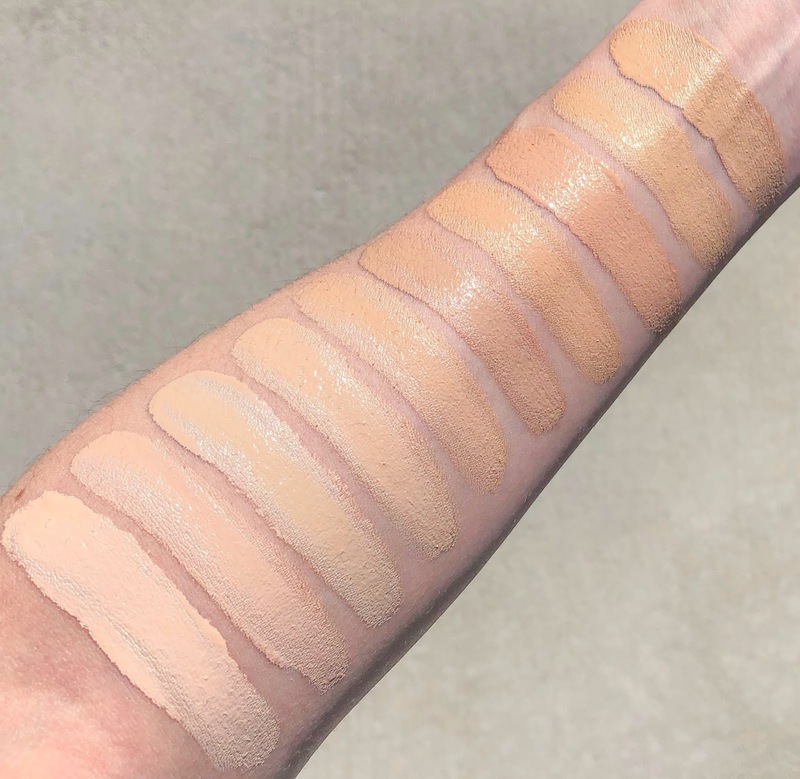 For me the coverage is in between medium and full and can be built up in certain areas. While it does go on quite matte when first applied, I had a bit of oil breakthrough in my t-zone after 4-5 hours. Nothing substantial and I didn't look overly shiny but I wonder how this will work when the warmer weather comes. It lasted all day on me but did begin to break apart on my forehead after 5+ hours of wear. I wear shade 110 Light Fair (N) and feel that it is a good match for me. There are cool, warm and neutral options and I always prefer to go with a neutral color. The shade range is very extensive with almost 50 colors in the entire collection. Overall, I liked the foundation but didn't love it. It looked matte but not as velvety as I prefer. I didn't feel my skin looked better with it on and it had a slight "makeup-y" look which I'm not a fan of. I think this would be better for those with combination or oily skin, and those with dry skin would need a hydrating moisturizer underneath to ensure it doesn't pull on any dry patches.